The team at Darebin Presbyterian Church is made up of people who believe that true and lasting satisfaction is found through knowing and serving Christ. If you have any general inquiries please contact Aaron, however if you have questions about a specific ministry someone a different member of our team may be able to help you more effectively. Aaron and Gabby have lived in the Thornbury area for the past 11 years. 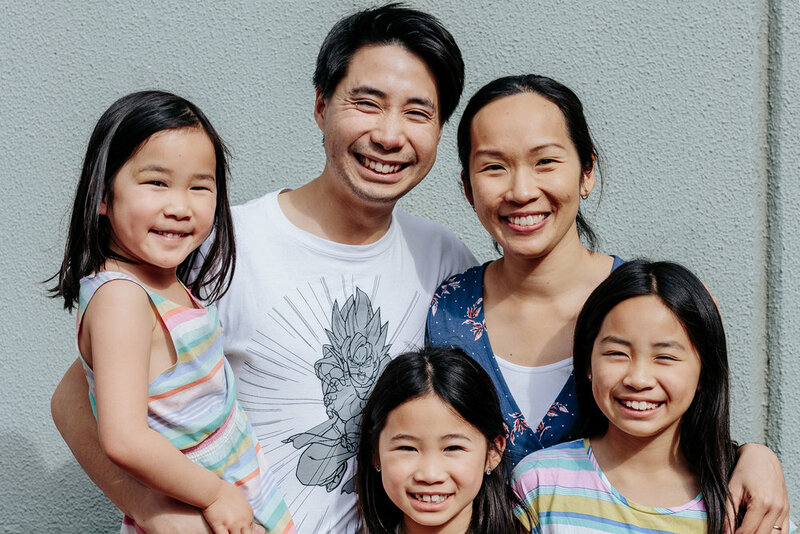 They have two children, Ada who is five, and Charlie who is two..
Before becoming the pastor of Darebin Presbyterian, Aaron worked for 6 years in University Student Ministry at La Trobe University, in Bundoora. Aaron and Gabby love living in the Inner North of Melbourne - you will often see them running on the Merri or Darebin Creek trails, enjoying breakfast and a good coffee at a local cafe, or listening to some live music at one of the many venues along High St. Both Aaron and Gabby's lives have been transformed through knowing Christ, hence, they want to provide a community in which anyone can get a taste of who Christ is, and what it means to be deeply satisfied in knowing Him. Adam loves Jesus, his family, science fiction and lego. In that order. He's also quite partial to boardgames, coffee drinking and guitar playing. Adam became a Christian while studying science at University and also met his wife, Tracey, there. These two life changing events were followed by three more - the births of Charlotte, Noah and Toby. 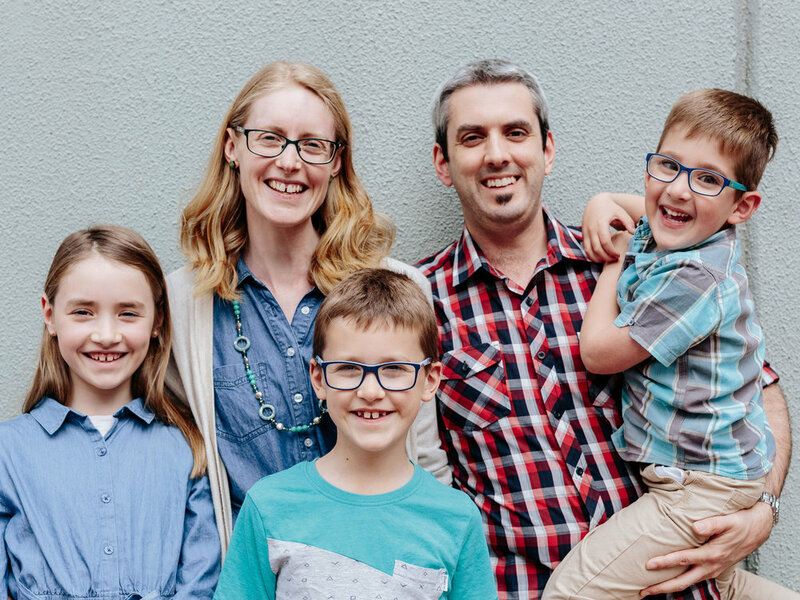 After pastoring a church in the western suburbs for six years, Adam moved to the city of Darebin to join the staff team at DPC. He and his family are excited about living in the Inner North and love being close to Preston Market. Adam is particularly responsible for overseeing the maturity and ministry passions of DPC - which includes things such as overseeing all DPC’s Gospel Communities and identifying and training new leaders. Adam is keen to see people deeply satisfied in knowing and serving Christ, and he believes that this deep satisfaction arises as people are deeply connected to God’s Word and God’s people. Chris and Bec love living in the the inner north because of the wonderful culture and people. I mean there could be worse things than op shopping, drinking awesome coffees, visiting microbreweries, and veggie gardening on the weekends! Chris and Bec have two gorgeous sons - Walter who is 4, and Doug who is 2. Bec co-leads a Gospel Community with Chris and coordinates the DPC music ministry. She is passionate about seeing people praising and worshipping Christ. Ken and Germaine love living in the City of Darebin because of the great sense of community, vibrant and diverse cultures, and delicious food. Ken is one of the elders at DPC and has the role of helping us consider how we can continually grow to be more like Christ, and reflect the love of Christ, to others. Germaine coordinates the mainly music team and is excited to support and build strong connections with families in our local community. They have three children - Clarisse, Celeste, and Colette. 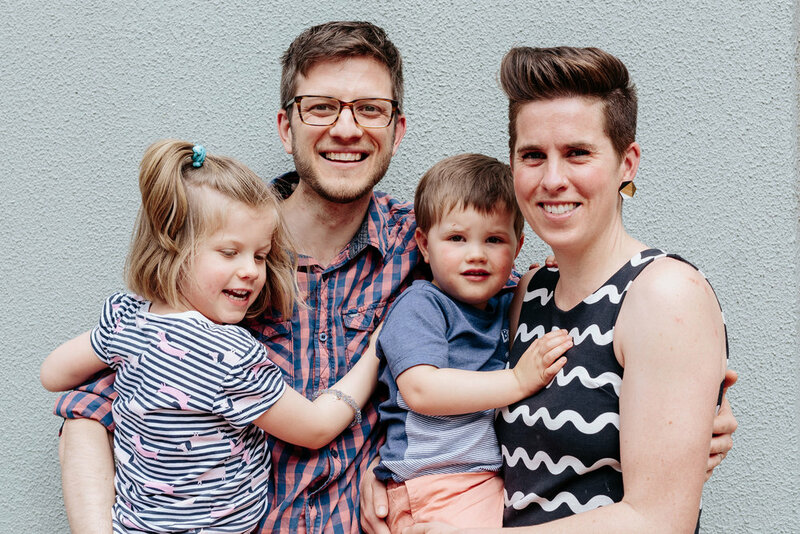 Anna and Daniel love living in the City of Darebin and being a part of the DPC family. They are really enjoying raising their son Elijah in such an interesting, diverse and friendly part of Melbourne. They especially love the parks, delicious food and the great sense of community that Darebin has to offer. Anna is DPC's Children's Ministry Coordinator and is passionate about seeing children explore what it means to follow Jesus and trust in His love for them. Anna and Daniel have a heart for seeing families sharing, learning and growing in faith together. Adam and Erin love living in the City of Darebin because they share a passion for gardening - which their daughter Abby is also growing to love - and they enjoy sharing their produce with their friends and neighbors. Adam is is one of the elders at DPC, leads a Gospel Community, and has the role of helping new people to DPC feel welcome and get connected into the life of our church. Erin coordinates DPC's mainly music ministry and leads a women's Gospel Community.